This is one section of a Phonics Kit that you can create. See the full post for more resources! The main focus of this section is on the consonants. PLAY Printables: Alphabet Chutes and Ladders: lowercase & uppercase from Super Simple, Animal Alphabet from filefolderfun.com, Mailbox ABC from Totschooling (6 pages, color), Fishing for Letters from Kindergarten Crayons (7 pages, color), Sammy the Starfish from Fuelthebrain. Please note that Flash may not work well on some tablets and smartphones. It can be helpful to download the Puffin browser. 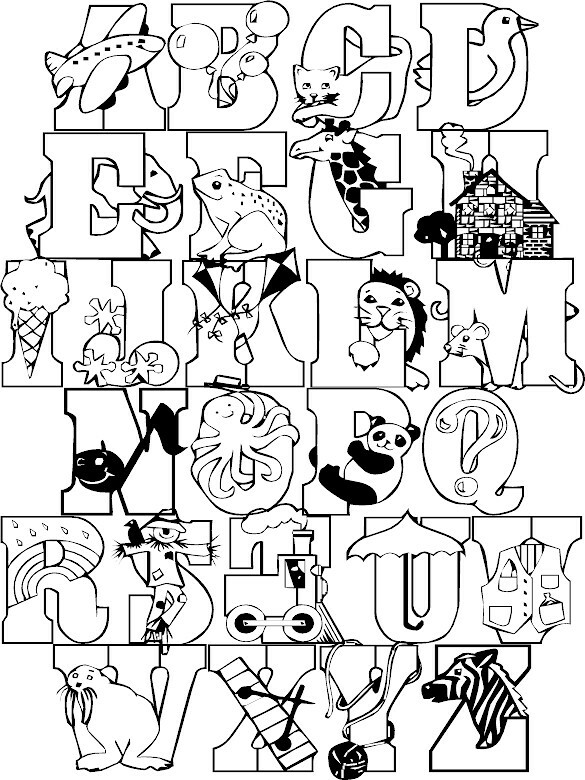 PRACTICE with Online Flash Alphabet from earlylearningactivities. PLAY Online Games: Alphabet Games at Education.com, Fisher-Price Alphabet Zoo, Alphabet antics at learnenglishkids, Alphabet games at LearningGamesForKids, Letter Sounds at Mr. Nussbaum, ABC Match at Readwritethink. Free on pc: Alphabet games at Turtle Diary & at abcya. Active, Board, and Card games at the ABCs of Games For Reading.